BlackBerry launches its Q10 smartphone with new features and a blast from the past. Like BlackBerry’s Z10, the new smartphone will feature apps including Skype, something missing from the company’s earlier devices. However, the device still includes a full physical keyboard, bucking trends in the industry but keeping typing purists happy. The Q10 features a wider 3.1-inch screen, allowing the physical keyboard to be bigger. Metal frets separate the keys. This feature means you’re more likely to send a quick message to your associates about a “change in the meeting time” rather than a “cjanhe in thr meeyinh time” if you still haven’t mastered typing on a screen. It’s clear from online discussions of the new BlackBerry Q10 smartphone that people who’ve used a BlackBerry phone in the past enjoy the fact that this smartphone still sports a physical QWERTY keyboard. BlackBerry officially launches the Q10 almost a month after the company began shipping its new Z10 phone, a more conventional-looking smartphone with an on-screen keyboard. The move may indicate BlackBerry is betting customers miss a physical keyboard, and the strategy could win over a percentage of smartphone users. 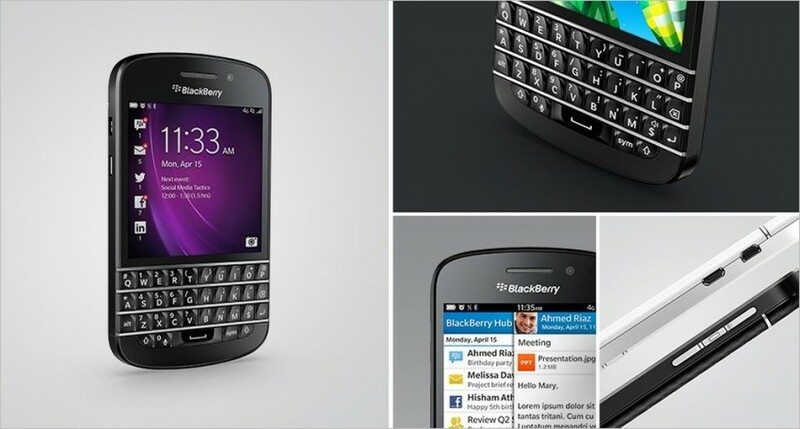 The Q10 will be available at the beginning of May in Canada with a U.S. launch soon to follow. With the launch, BlackBerry is also partnering with makers of popular smartphone apps specifically designed to run on the Q10. Besides Skype, apps for Facebook, Twitter, Foursquare, and LinkedIn will come pre-installed on the new device.